MARIO MAZZA (7 June 1882 - 22 November 1959). He was an Italian educator. 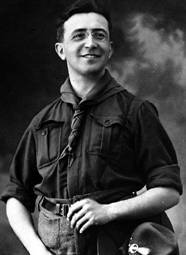 He was one of the founders in 1916 of ASCI, the Italian Catholic Scouting Association, which later became the Italian Catholic Scout Association. In 1905 the school director Mario Mazza founded the Juventus Juvat association in Genoa, also known as the Gioiose. With the collaboration of don Capanera, it aims to offer the Genoese young people a healthy environment of growth and training, both professionally and spiritually. In 1910 he heard about the birth of the first Scout group in Italy, in Bagni di Lucca (Tuscany). 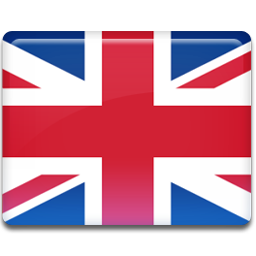 Contact their founder, Sir Francis Vane, who advised him to get in touch with Sir James Spensley, an English doctor who had founded the first soccer team in Italy in Genoa and had a great deal of education for young people. Mazza and Spensley invited Vane to Genoa for a conference on November 13, 1910. Following this conference, two days later, Mazza and Spensley formed the Genoese section of the Italian Explorers Boys (REI). President was appointed Count Ottavio Reghini, while Mazza was elected Secretary of the Section. Spensley became Commissioner Delegate for Liguria. The Gioiose converged in the REI. Already at the end of 1911, however, there were contrasts between Mazza and Reghini. Mazza left the REI and reconstituted the Gioiose. Even Spensley left the REI with a group of explorers who, on some occasions, did later activities together with the Gioiose. In 1912 Carlo Colombo founded the National Corps Young Italian Explorers (CNGEI) in Rome. Many of the REI groups converged in the new association, while Mario Mazza remained to await developments, and got a recognition from the Genoese ecclesiastical authorities, so as to transform the Gioiose into the RECI (Italian Catholic Explorers Boys). Despite the name, the association has never extended beyond Liguria. Up to this point the Catholic Church had looked suspiciously at Scouting. But in the mid-decade the climate began to change, and the possibility of having some units of Catholic explorers on the English model within CNGEI was considered. However, the negotiations stalled, and in 1916 the ASCI (Italian Catholic Scouting Association) was founded thanks to the work of Count Mario di Carpegna. Four of the first six Departments were Genoese and came from the Gioiose. In 1920 he took part in the first world jamboree in London and brought with him 15 Genoese explorers. In 1927 the fascist regime dissolved the scout associations to bring all the boys into the Balilla. Mario Mazza attempted a mediation with the regime, and for a short time collaborated with the Balilla, trying in vain to change the spirit. After the arrival of the Anglo-American troops in Rome, Mario Mazza committed to the rebirth of the ASCI with Monsignor Didier Nobels and Salvatore Salvatori. At the same time, he also dedicated himself to the birth of adult Scautism in Italy, through the Compagnia dei Cavalieri di San Giorgio, composed of adult members of the ASCI. In 1954, many companies converged in the MASCI (Italian Adult Scout Movement). Mario Mazza died on 22 November 1959. The MASCI named after him the Mario Mazza Scout Study and Documentation Center, located in Genoa.